Supertuff plastic dollies, plastic wheeled dollies and plastic wheeled trolleys are rotationally moulded in our own factory and are designed to produce a tough, durable and long lasting product. These plastic dollies are used within a wide range of different industries including food manufacturing, food processing, bakeries, catering & hospitality, retail & distribution, medical & pharmaceutial and general industrial applications. Each of our plastic dollies has a hygienic design that enables it to be easily cleaned and so they are ideal in high care environments. Our range includes 600x400 plastic dollies, 800x600 plastic dollies, plastic dollies for euro stacking containers, plastic dollies for plastic crates, plastic dollies for bale arm crates, plastic dollies for confectionery trays, plastic double dollies and plastic dollies for round containers, tubs and bins. 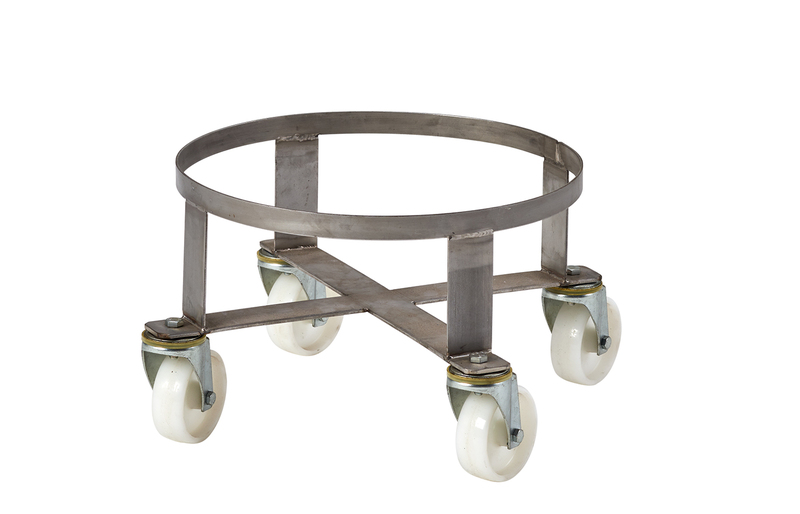 These plastic dollies are fitted as standard with 4 x zinc plated castors with 100mm diameter poplypropylene wheels. We are also able to fit stainless steel castors and braked castors on request. We are able to produce our full range in a wide choice of colours which include natural/white, red, blue, green, yellow, blue, light green, dark green, light yellow, dark yellow, pink, grey, brown and purple. 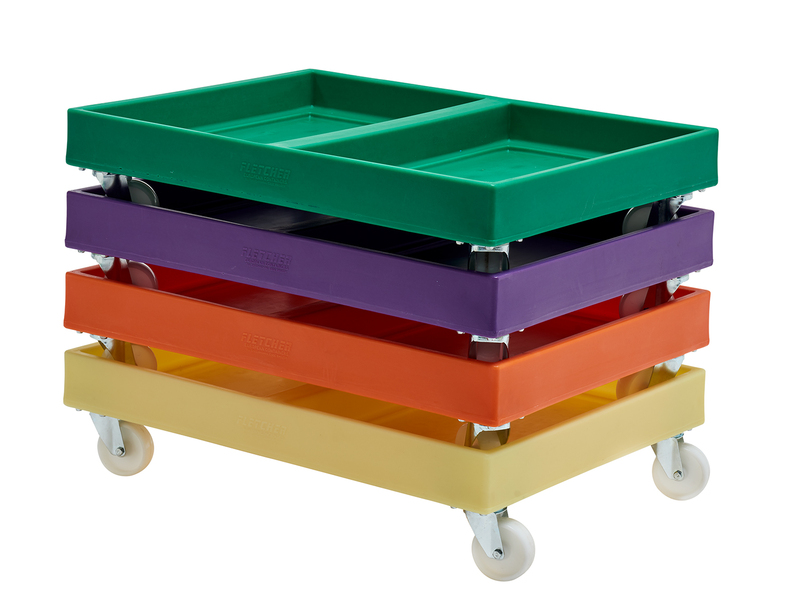 These dollies are therefore ideal for colour coding and use where product segregation is important. We offer qualified professional advice, competitive pricing, bulk discounts and quick lead times usually from stock for standard colour options with special tailor made coloured requirements taking just a few days to produce. We also offer a full range of steel dollies - stainless steel and mild steel powder coated so please check out our steel dolly section.